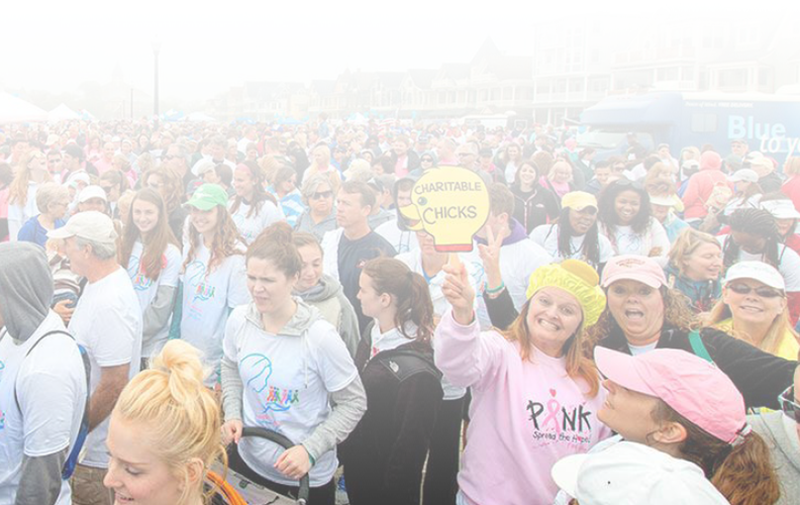 The Mary’s Place Walk-a-thon Part II is right around the corner and we are so excited! 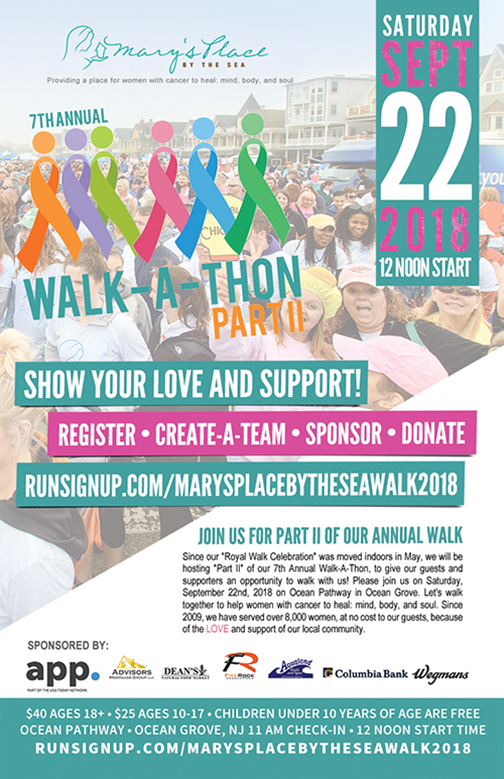 Please join us on our NEW DATE: Saturday, September 22nd, 2018 Ocean Avenue and Ocean Pathway in Ocean Grove. If you registered for our walk in May, your walk registration will automatically count toward this new date. We will also accept new registrations for additional walkers into the month of September! We encourage teams to continue fundraising and recruiting more teammates. The last day for registrations will be September 7th! Sign up to walk, create your own team, or simply donate. There are still opportunities for sponsorship and a few vendor spots are available! All proceeds from this event will support women with cancer in their journey to healing: mind, body and soul. Help us to make this walk the best one yet! WHAT IS MARY'S PLACE BY THE SEA? Our guests are empowered with knowledge that will aid them on their road to healing. 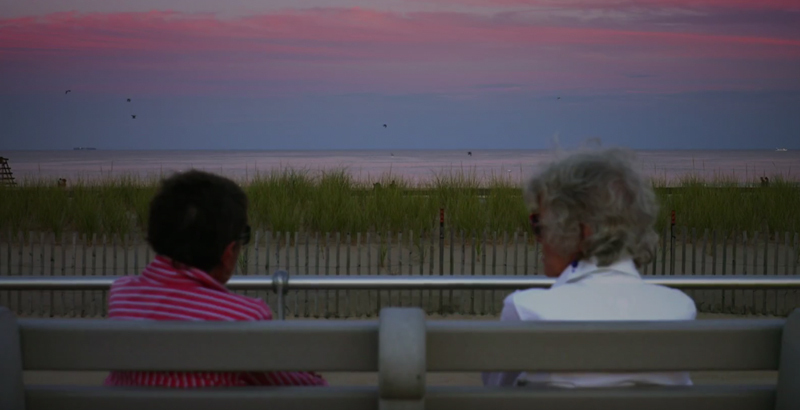 Watch this video to learn more about Mary's Place by the Sea.